Instead, according to a study led by researchers at NYU School of Medicine, its Perlmutter Cancer Center, and the Manhattan campus of the VA NY Harbor Healthcare System, increasing numbers of these men are electing to postpone additional therapy unless their symptoms worsen — a passive practice called watchful waiting — or they are choosing so-called active surveillance. This program relies on regular check-ups, including blood tests, physical exams, and the occasional needle sampling of prostate tissue to check for any signs of a tumor getting worse, such as fast growth, before aggressive treatment is considered. The new study, summarized in the Journal of the American Medical Association (JAMA) online May 15, is one of the largest studies of its kind, involving a review of the medical records of 125,083 former servicemen, mostly over the age of 55, who were newly diagnosed with low-risk prostate cancer between 2005 and 2015. It was during this time, researchers say, that widespread use of blood testing for prostate specific antigen (PSA) was roundly criticized for overdiagnosing the disease and leading to the treatment of the smallest, non-aggressive prostate cancers, highly unlikely to cause death. By contrast, in 2015, some 72 percent passed on immediate therapy, with 39 percent choosing active surveillance. Similar numbers were observed for study participants who were over age 65 and known to be less likely to pursue surgery or radiation, which carry a higher risk of side effects, such as bowel and bladder problems, as well as sexual dysfunction. 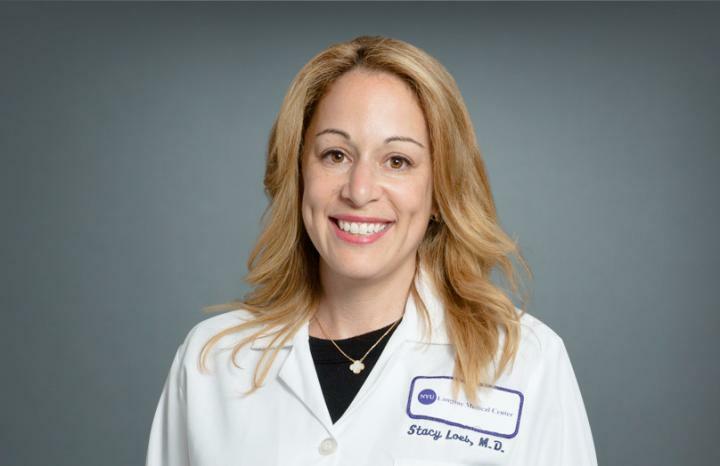 "Our study shows that the Veterans Affairs health care system has done a good job over the last decade in adopting 'conservative management' of men diagnosed with early-stage disease, with many men choosing active surveillance as an alternative to immediate therapy," says study senior investigator and urologist Stacy Loeb, MD, MSc. "This marks a historic reversal, at least at the VA, in the decades-long overtreatment of men with prostate cancers least likely to cause harm, and brings their care more in line with the latest best practice guidelines," says Loeb, citing a 2016 report from the American Society of Clinical Oncology, which discourages aggressive therapy for low-grade tumors. Loeb, an assistant professor in the urology and population health departments at NYU School of Medicine and an attending urologist at VA New York Harbor Healthcare System, says the VA's success raises its standard of care of low-risk prostate cancer to levels seen in other countries like Sweden, where active surveillance rates top 70 percent. And it offers hope, she says, for many private clinics in the United States, which lag behind with as many as two-thirds of men at low risk undergoing early aggressive treatment, according to published estimates. Loeb cautions that some men may opt for immediate treatment with "sound concerns" rather than active surveillance, especially men who had an infection after their initial biopsy, and fear it happening again with any further procedures. What is important, Loeb explains, is that patients and their physicians carefully review options after a diagnosis and that the risks of immediate treatment are understood when a "shared decision" is made. Additional funding support for the study, which took four years to complete, was provided by New York State Department of Health grant DOH01 C30697GG-3450000; National Institutes of Health grants P30 CA016087 and K07 CA178258; and Veterans Affairs grants CDA 11-257 and CDP 11-254. Funding support was also provided by the Laura and Isaac Perlmutter Cancer Center, the Edward Blank and Sharon Cosloy-Blank Family Foundation, and the Gertrude and Louis Feil family trust. Loeb has received consulting fees or travel reimbursements from several health care and pharmaceutical companies involved in cancer care or diagnostics, including Lilly, MDxHealth, General Electric, Astellas, Sanofi, GenomeDx, Minomic and Boehringer Ingelheim. Study co-investigator Danil Makarov, MD, MHS, has also served as an advisor to the FDA, which regulates prostate therapies and diagnostic tools. All relationships are being managed in accordance with the policies and practices of NYU School of Medicine. Besides Loeb and Makarov, other NYU Langone and Manhattan VA investigators involved in the study were Nataliya Byrne, BA; Herbert Lepor, MD; and Dawn Walter, MPH.